I had these muffins on my mind for the past few days, but what with this and that comings and goings, I just got around to making them. I’ve made these previously, for our new Communities Craft & Bake Sale back a ways… the gluten-free muffins actually did better than the regular ones believe it or not. My muffins are a jump-off from King Arthur Flour’s recipe, but with a few twists and turn of my own… I just can’t seem to follow a recipe, I’ve got to give them a tweak here and there. 1 C. Brown Sugar, less 1 Tbsp. Lightly grease a 12-cup Cupcake tin (or 6-cup Jumbo muffin tin), or line it with papers and spray the insides of the papers (I used Baker’s Joy spray-no papers). In a small bowl, cover the dried Cranberries with hot water, and set them aside to soak. In a large bowl, whisk together the Flour, Sugar, Baking Soda, Spices, and Salt. Stir in the Carrots, Apple, Coconut, Pecans and Pineapple. In a separate bowl, beat together the Eggs, Oil, Vanilla, Molasses and Pineapple Juice; add to the Flour mixture, and stir well. Drain the Cranberries and stir them in. Divide the batter among the wells of the prepared pan, filling each cup to the top. Bake the Cupcake sized muffins 20 minutes and the Jumbo muffins for 25 minutes, until a wooden toothpick inserted in the center of one of the inner muffins comes out clean. Remove from the oven, let cool for 5 minutes in their pan on a rack, then turn out of pans to finish cooling. Wrap any leftovers airtight, and store at room temperature for several days; freeze for longer storage. These little cuties are delicious any time. I’m pretty sure that I’ve already told everyone about Trader Joe’s Pita Bite Crackers with Sea Salt, but have you tried its Sister Cracker? 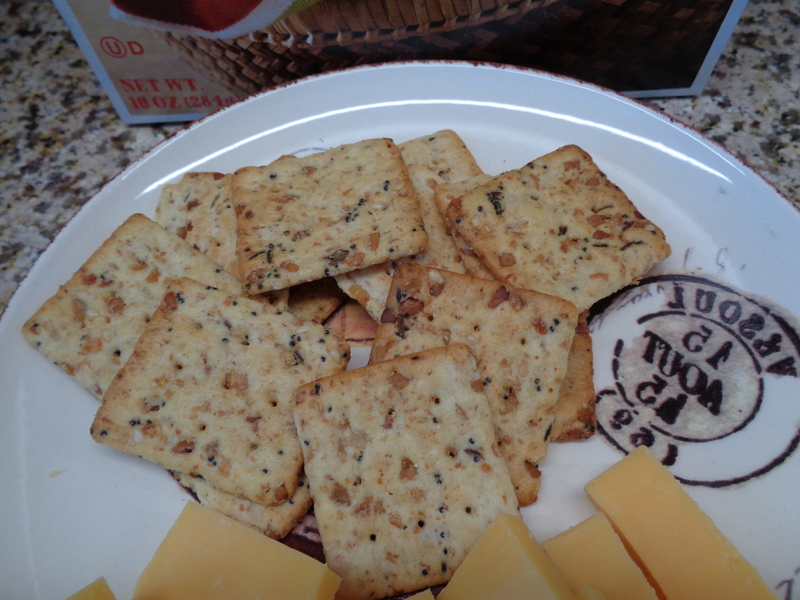 Trader Joe’s Multigrain Pita Bite Crackers with Whole Wheat and Flax Seeds, YUM! Now, you don’t have to do this, but do, try them with a large schmear of Boursin Cheese, topped with Trader Joe’s Roasted Garlic & Onion Jam, OH MY GRAVY ALL OVER MY TWO SCOOP RICE (that’s OMG! in my world, but then you all know that already 😀 ) !! 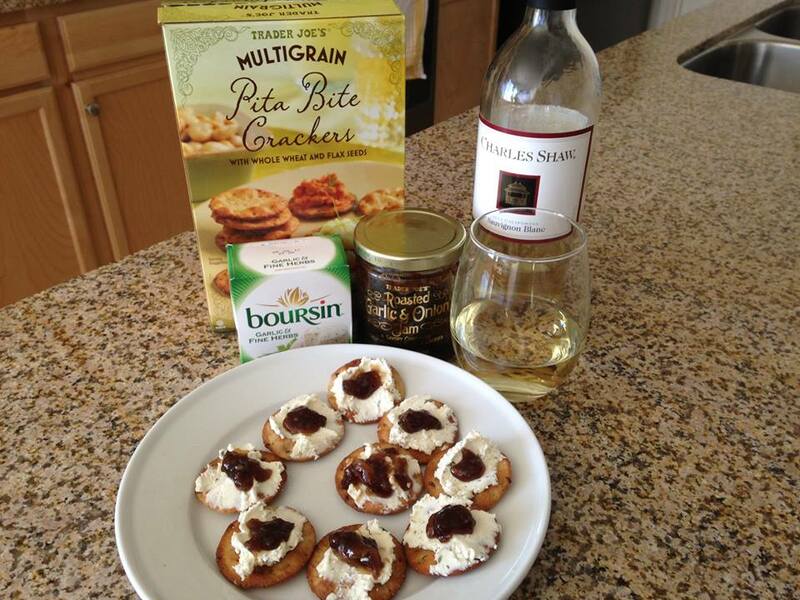 When served with a glass of wine, takes this late afternoon snack WAY over the top delicious. I think I’ve mentioned that I LOVE Trader Joe’s and all of their snack-y stuff, right? 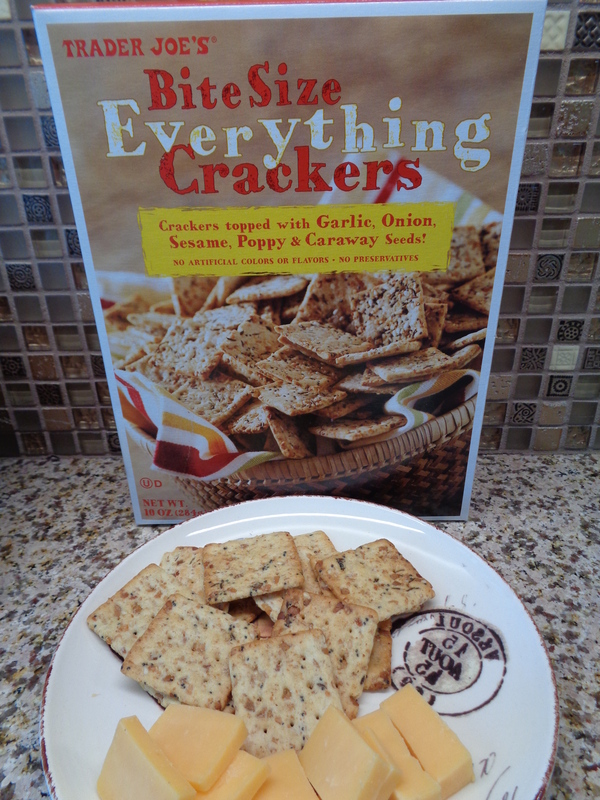 Trader Joe’s Bite Size Everything Cracker, MMM! Think of it like an Everything Bagel. Nowadays you can even buy a jar of Everything Topping to use at home on whatever. I added a little Cheese on the side of my share yesterday and you’ve got yourself a very nice late afternoon snack to hold the wolves at bay until suppertime. I’m going to leave out Cheyenne Wyoming, mainly because it was simply a stop to sleep as we made our way to our final town, Durango Colorado. DH and I have been here a few times before for visits with a friend of mine, but honestly, we really like it there. The drive from Cheyenne though was a little harrowing to say the least. As we approached a mountain pass, we could see that a pretty bad looking storm was coming. Unfortunately it hit us full force as we got to the top of Wolf Creek Pass in Colorado. I have never, in my life, been so scared. Hail, snow, sleet, ice, all coming down in buckets, the first winter storm of the season, great! My husband pulled off of the road twice, mostly because we just couldn’t see and we don’t have four wheel drive. Somehow, we made it down the other side of that mountain and were only 3 hours beyond our estimated time of arrival at our hotel. Well, the next morning the sun was out and there was oodles of snow up on the mountains, so we took a drive from Durango to Silverton. A little cold for a gal from Hawaii, but just gorgeous! My friend is a chef in Durango, so who better to ask where to eat, right? 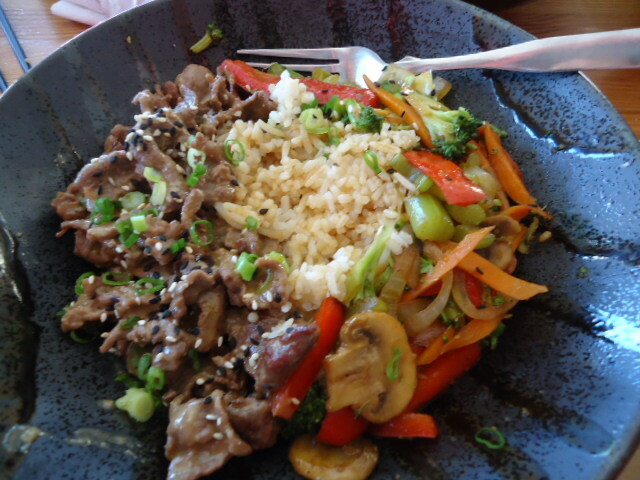 We had lunch at Rice Monkeys. We ordered Edamame to start and then Teri-Chicken rice bowl for DH (didn’t get a photo `cuz hubby wolfed it down) and Sautéed Sesame Beef rice bowl for myself. That hit the spot! The following day we were having dinner at our friend’s home, so we figured a big breakfast or brunch as it was, would be best. On my DF’s suggestion, we went to Durango Doughworks. The best bagel that we’ve had in a very long time, good call Joey! In fact, we wound up eating breakfast here twice on this visit and I’m sure that we’ll be back again the next time that we are in town. Dinner at my chefy-friend-Joey’s was the bomb-diggity! 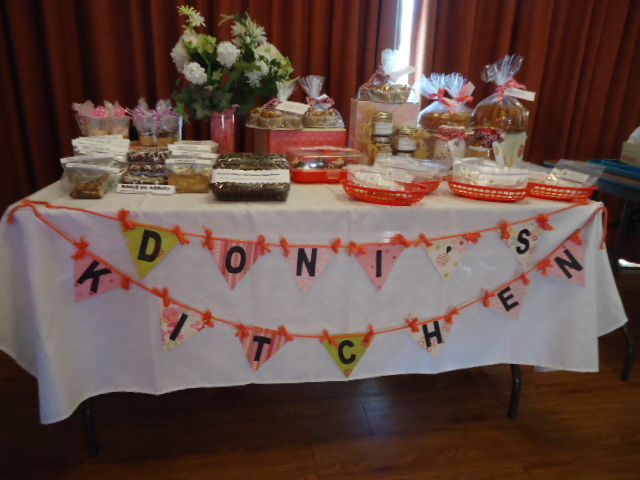 She pulled no punches, she put out a spread of so many different dishes, I wasn’t sure where to start. 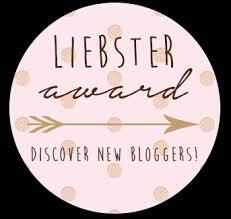 The best plan of attack was to try a little of everything! Our last night in Durango, we went to dinner at Mutu’s Italian Kitchen, once again on my girl friend’s recommendation. She knew that my husband would enjoy his meal, and he sure did. Now it’s time to head towards home, we’ve been on the road for a month, though neither of us really felt like we wanted this to end. At lunch the other day, my mother reminded us that Easter is coming early this year. WHAT? Sure enough, I pulled out the calendar and Easter Sunday falls on March 31st. Last year, rather than make up baskets of candy for my DH and mom, I made Iced Sugar cookies. 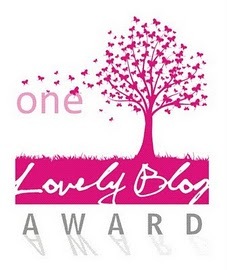 This was the absolute first (and probably last) time that I will undertake such a long, drawn out project. I should say though, it was fun and I was quite pleased with the outcome. 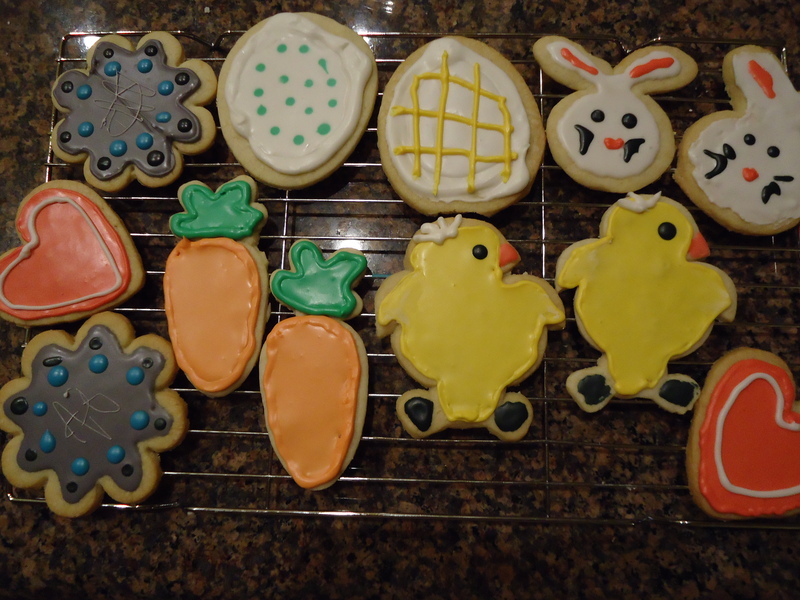 These are just the cutest cookies I’ve ever made. I adapted a recipe from Martha Stewart and the FoodNetwork Magazine, morphing the two together. I probably should have rolled out the dough a touch thicker, it was a fragile final product. The royal icing was a challenge, as I’d never done this before. It took driving all around town to several places to find the meringue powder. I used just plain ‘ole liquid food coloring from the supermarket to tint the icing. I piped it using simple sandwich baggies with the corners snipped. I was on my feet for most of the day and my back was aching! Normally, if I know I’m going to be in the kitchen standing for periods of time, I put on my walking sneaks. I was so excited to get this ball rolling that I was in my bare feet and didn’t think about it until it was too late. But it was a blast and both DH and mom were impressed, they thought I bought them at a fancy bakery. 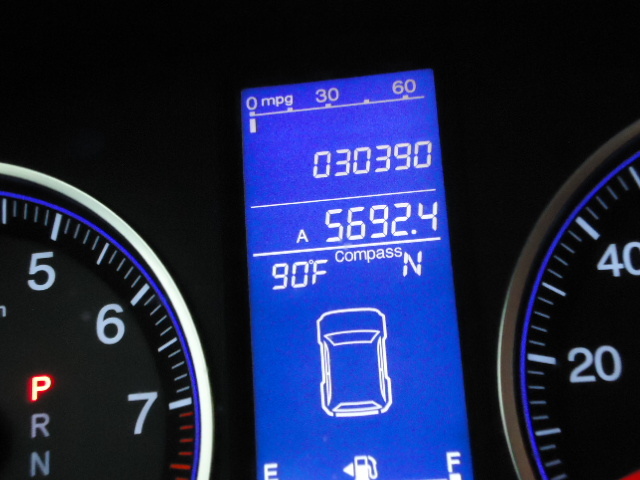 Our Great Western Adventure ~ September 2013 ~ Installment #14 ~ Onward! It’s eight o’clock in the morning and we’re already headed down the the road before us. We wanted to get a good head start to the day as we made our way towards the Badlands National Park. What, you’ve never heard of Wall Drug and the free ice water? It was a blast, I didn’t know that it was so big. We decided on a snack after walking and shopping. Their doughnuts were outstanding, so were the pies, we tried our slice ala mode along with some free ice water, that’s what they’re known for. We found our hotel, not that difficult, Wall South Dakota is not very big. We only stayed one night, so we made supper just a simple salad in our room and it was to bed early, so that we would be fresh for our next stop. 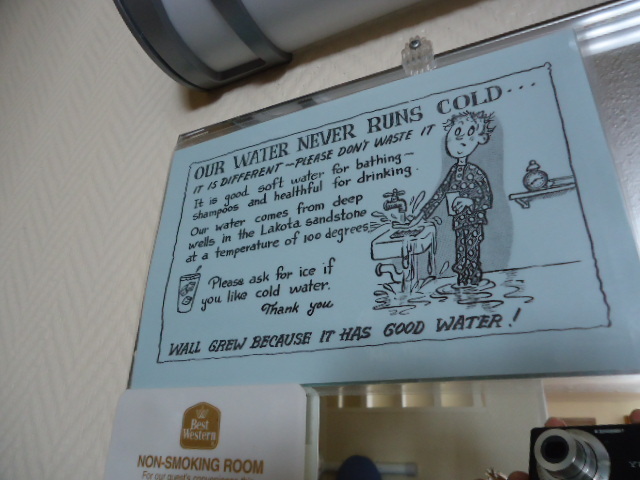 Our Great Western Adventure ~ September 2013 ~ Installment #3 ~ Did I Forget Something? Oops, I think I did. Here we took off on our trip, I showed pictures of ALL of the stuff that I packed, but didn’t tell you what was in those sacks. Pshaw! My DH (darling, dear, dazzling, debonair, dashing – husband) just LOVES chocolate chip cookies. The past few times that I’ve made them though they were just, meh. So I did several searches over a number of days on many, many sites and found a Land O Lakes recipe and gave it a shot. They came out better than I could have imagined. Crisp on the exterior and nice and chew on the inside, I even liked them. Here’s the best part, I stored them in a zip top freezer bag for transport and they STAYED that way. Speaking of the journey… I didn’t want our goodies to get smushed in the hub-bub-bub, ya’ know? So I made up two cookie tins (I just can’t leave well enough alone). The computer and printer came in handy making custom labels for the cans, cute huh? My personal favorite of ALL times is an old fashion Oatmeal cookie. It’s just me I guess, but I always want to play around with a recipe. 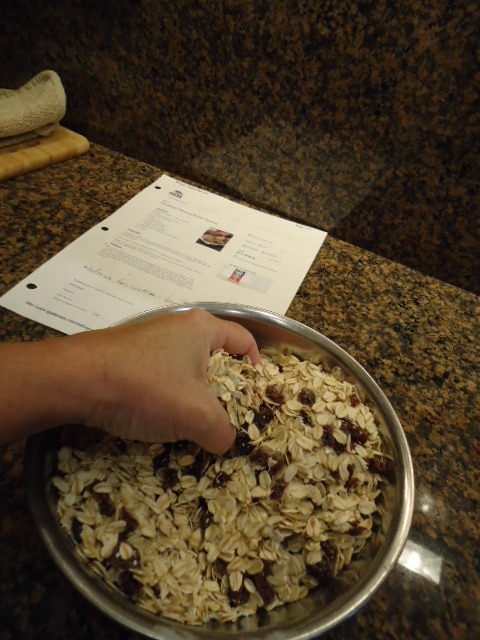 I have used the Quaker Oats Vanishing Oatmeal Raisin Cookie recipe that I had printed out YEARS ago. But wait, there’s something different about this new one on line… the butter as well as sugars are in different proportions. 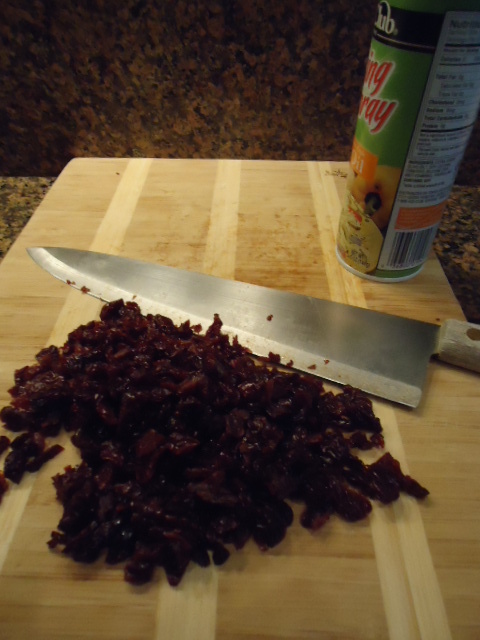 Rather than raisins, I prefer tart dried cherries; I spray my knife with cooking oil and chop them roughly first. Then I mix them into the oats, so that they don’t clump up in one huge chunk. My new Chocolate Chip cookie recipe recommends resting the dough overnight, so I figured that would work just as well for the Oatmeal ones. I would rather have bars than drop cookies, mainly because their so nice and chewy, why not make a good thing better. 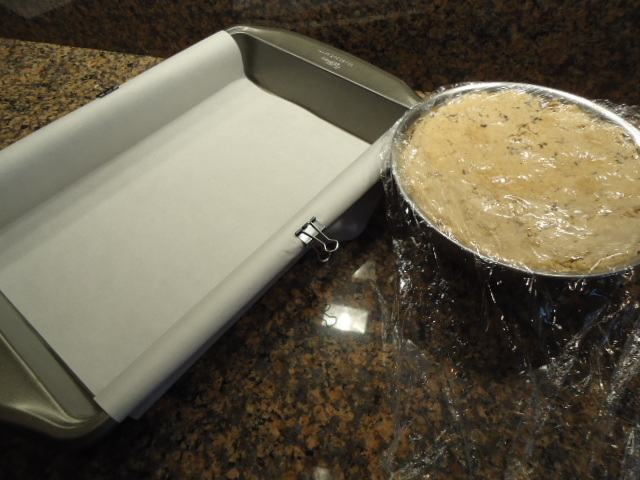 I press the dough into a 9×13 inch pan lined with parchment, held down with alligator clips, smart. 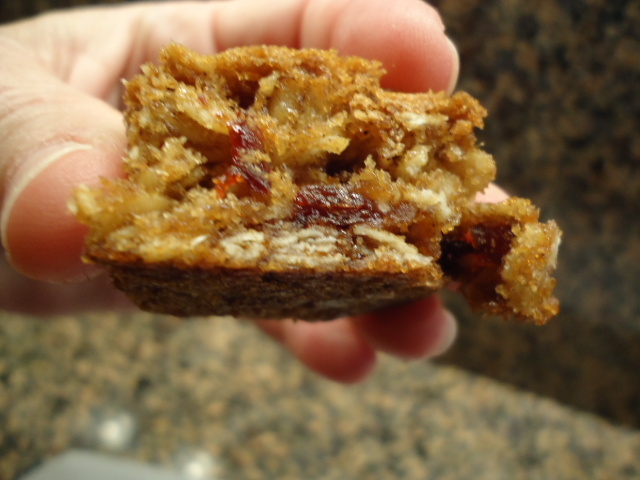 These Oatmeal Cherry Cookie Bars are the best!